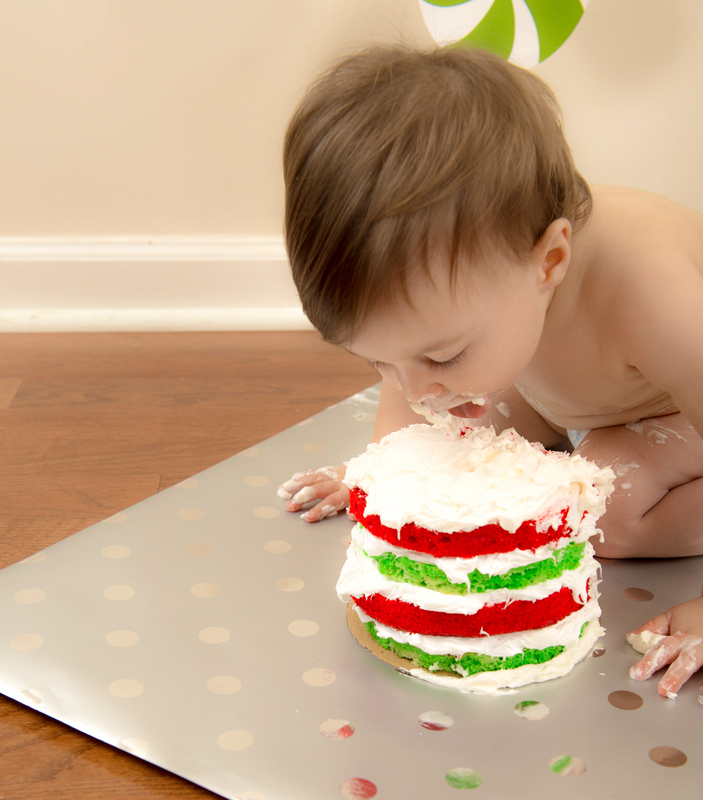 Our littlest boy just turned one and to celebrate his special day we planned a cake smash celebration. 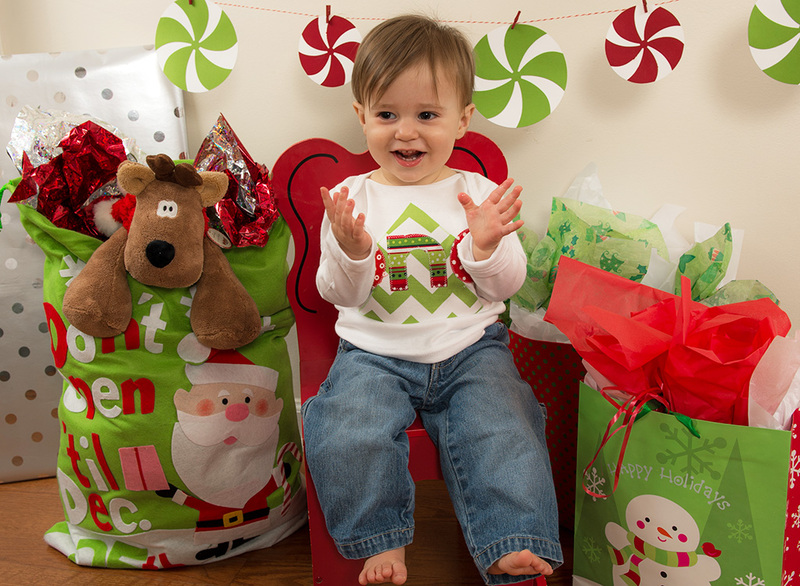 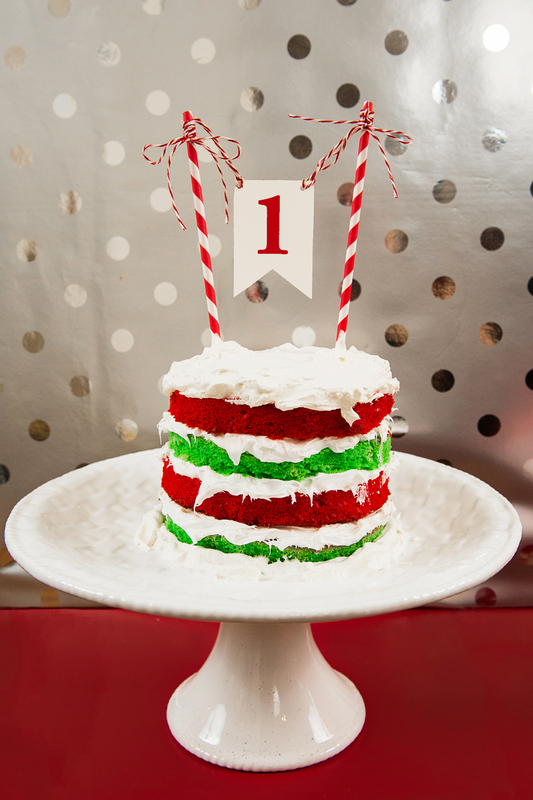 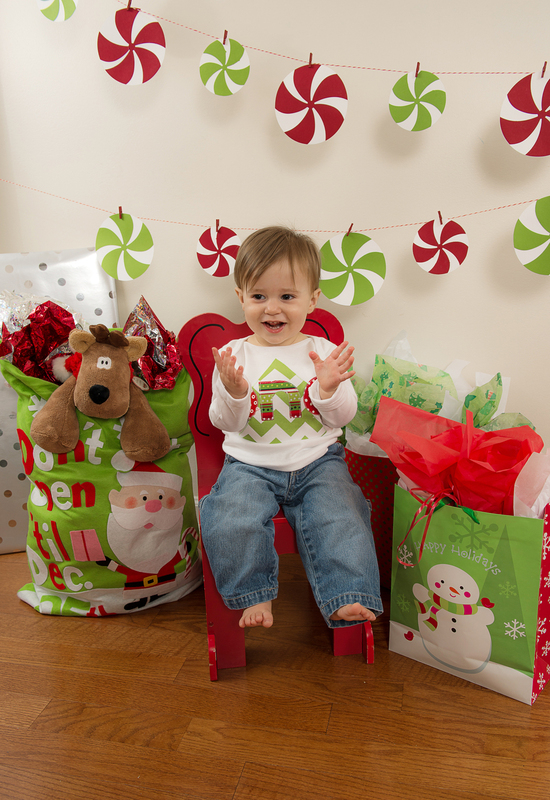 The season of his birthday set the stage, complete with a red and green cake baked with love, a matching peppermint banner and gifts galore. 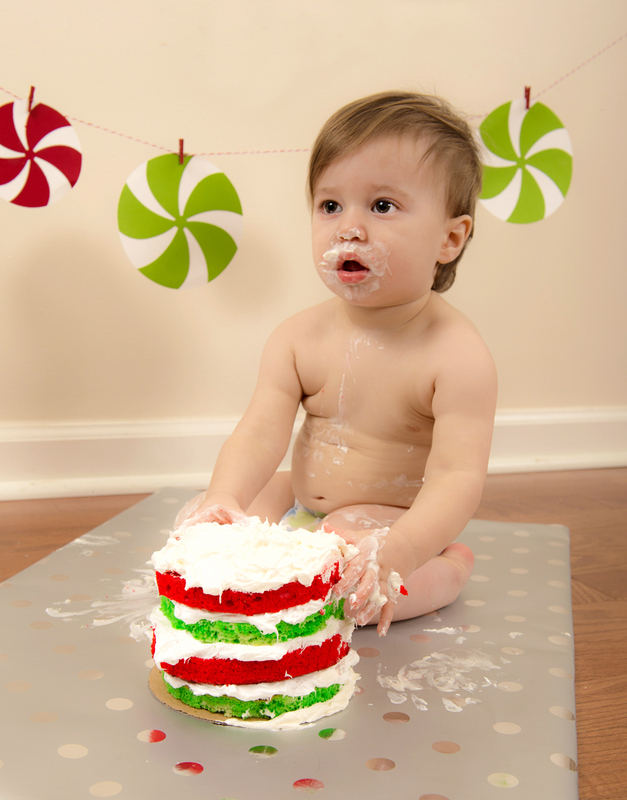 We are so thankful for his godmother Patti Armbruster with Photography by Patti Hartman who captured all the fun for us to remember for many years to come.